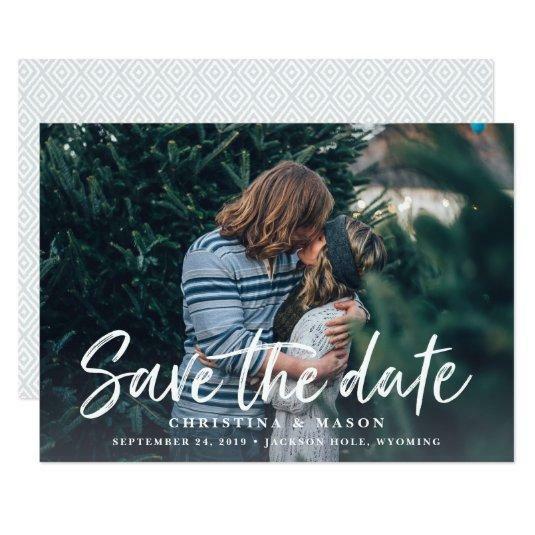 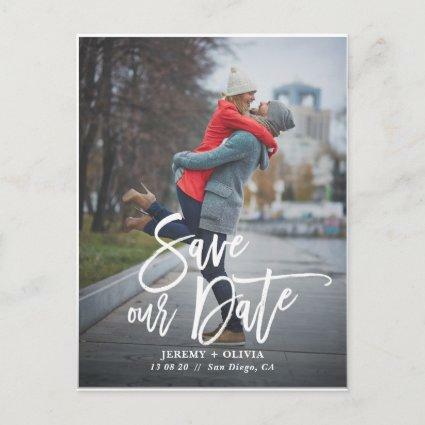 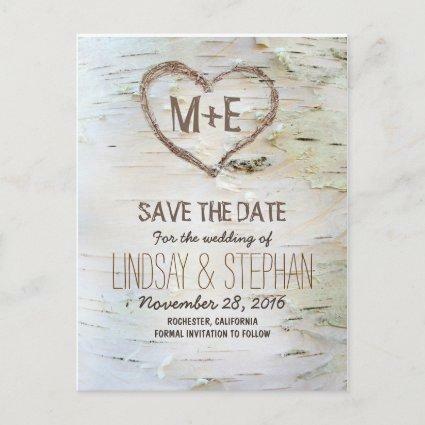 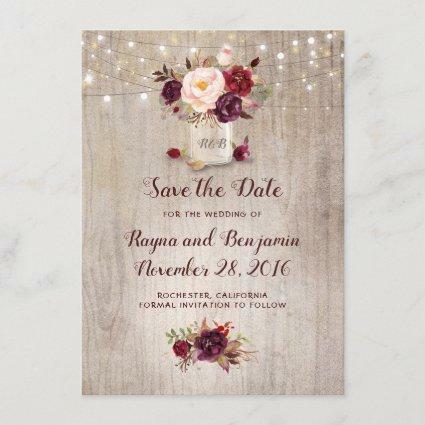 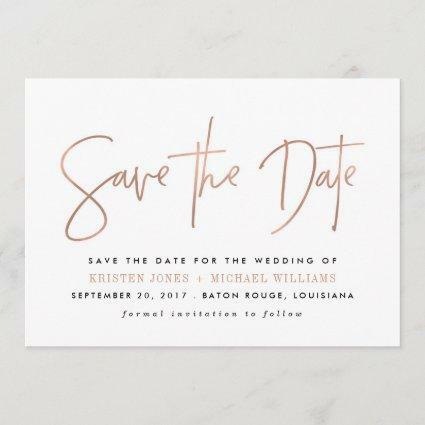 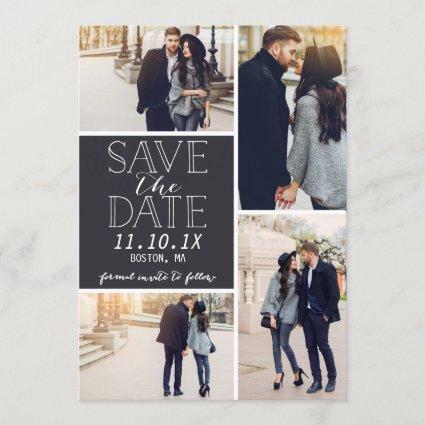 A modern save the date card featuring "save the date" in a fresh and casual handwritten typography style that evokes the look of a brush marker. 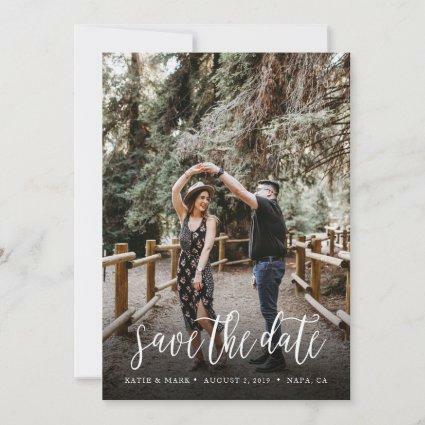 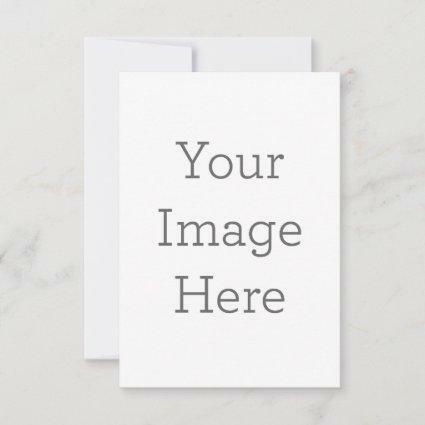 Designed to accommodate your favorite horizontal or landscape oriented full-bleed engagement photo, this chic card features a white text overlay with your names, wedding date and wedding location. 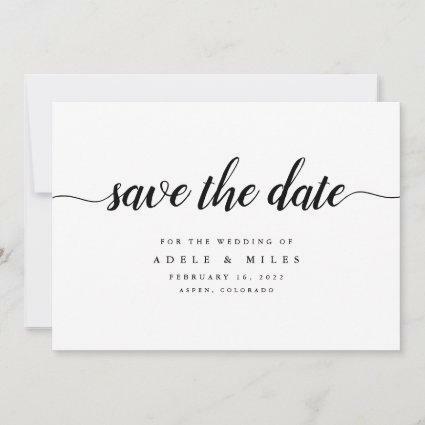 Cards reverse to a subtle ikat pattern with space to include your wedding website url or any additional information you choose.